Air Intake Valve Shutdown, Stop/Run from inside the cab, RPM Shutdown, RPM test, PTO Guard™ Shutdown Mode, Pull to Ground, Event Logging, Auto Cycling. As well as offering all of the Guardian Basic model features, the Guardian Pro model is equipped with more advanced features which provide a wider range of protection. 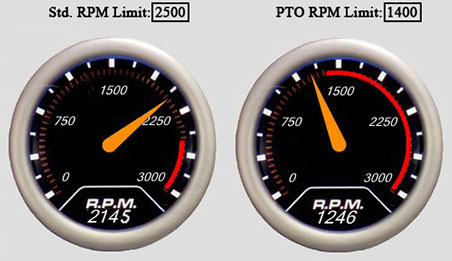 DTI was first to introduce the auto cycle feature to the market. Diesel engines have an increased carbon build up in their intake systems due to the introduction of EGR and DPF systems which the auto cycling feature helps to keep the valve clear of. 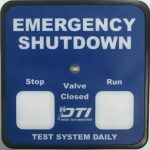 The DTI Guardian System has been designed to receive multiple auxiliary inputs, all of which can be monitored and set to shutdown the system if set levels are reached. Examples of the Inputs and Outputs are being able to monitor the H2S levels,Pressure levels, Vibration levels and Temperature levels. These Inputs and Outputs are added components to our Valve system, therefore working with our Engineering team you can build a custom valve to suit your needs. The Pro model offers access to real-time logs of the DTI Guardian Safety System which provides you with the ultimate in liability protection and the ability to check which operators are regularly testing the system, and why the valve has closed. 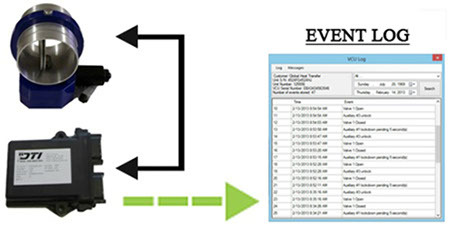 In order to access the logs you simply connect to the Guardian safety systems VCU to a laptop connection, then download the event log for the units maintenance and compliance logs to keep in their file.